I have been using a new filet knife for a couple months now. 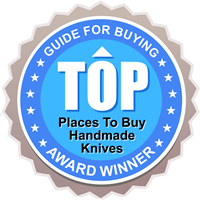 I received it from Jay Maines, owner of Sunrise River Custom Knives. I received the knife about a week before “Boys Camp” started at Wingates Lodge on Lake Seminole, GA. I knew I would be able to put it to the test. The knife I tested was Jay’s Medium Filet Knife with the 5-1/2″ blade, which is perfect for the size fish around here. The blade is extremely flexible and sharp. The handle is black palmwood which adds to the looks. Although the knife is easy to look at, it is meant to be used. I’ve had a lot of knives in my time, but none have come close to this one. I cleaned over 45 fish with mine, including a 4 foot shark, before I put it on the stone, and then it didn’t take long to get the shaving edge back on the blade. I was so impressed that I purchased one for my Dad for Father’s Day. I can tell you Jay is a person who puts a lot of time and dedication into his work. So if you are planning to purchase a custom knife, I recommend giving Jay a call. You won’t regret it.